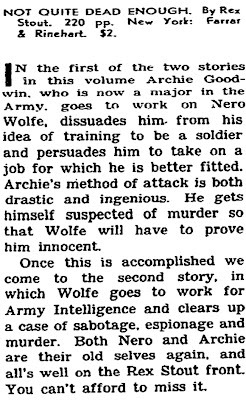 from "The Latest Mysteries in Review," New York Times, September 10, 1944. 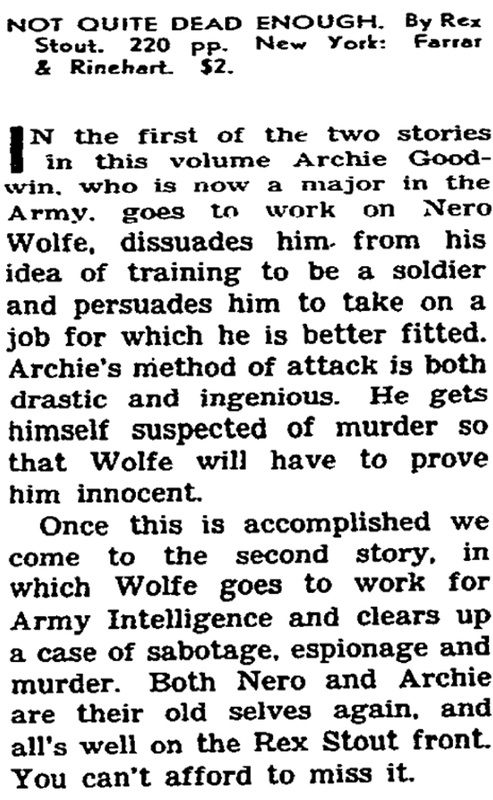 "Both Nero and Archie are their old selves again, and all's well on the Rex Stout front. You can't afford to miss it."